Ensure your application form clearly states the vacancy that you are applying for – either by the job reference number or the post title. Be careful if ‘cutting and pasting’ from another application form ensuring that it is specific to the school you are applying to and does not contain references to another organisation. Your application could be rejected. It is essential that referees are aware they will be contacted. Include email addresses of your referees as it speeds up the process. Alternatively, please ensure that the FULL postal address is given including the Company name and postcode. Ensure that you provide details and examples of experience, knowledge, skills and abilities which link to the job description and person specification. At this point in the process we only ‘know’ you by how well you describe yourself within your written statement and this could be the difference between getting an interview or not. Ensure that you fully complete ALL sections of the application form and that you check your spelling and grammar. If you complete the application form electronically you should print it out and sign it before scanning and emailing it back to us. If you do hand write the application form, please ensure that your writing is clear and legible. It is imperative that we receive your application form by the deadline date and time as any received after this will not be considered for shortlisting. Check that the actual hours and salary are acceptable to you before accepting an interview. Usually the salary range is detailed as the full time equivalent with the ACTUAL salary alongside it. Do your homework – if you are invited to an interview it is useful to be able to draw on information you have gathered about our schools. Visit us! We welcome and strongly encourage prospective employees to visit our schools. 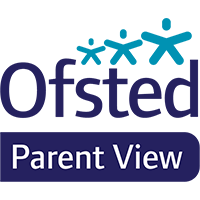 You will be able to see the students across a whole range of special educational needs, look at the facilities and resources we use on a daily basis and meet members of staff who would be happy to answer any questions you may have.